Are GMF's good or bad ? 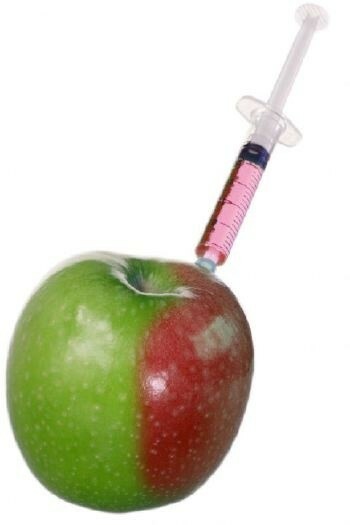 The term GM foods or GMOs (genetically-modified organisms) is most commonly used to refer to crop plants created for human or animal consumption using the latest molecu- lar biology techniques. Pest resistance Crop losses from insect pests can be staggering, resulting in devastat- ing financial loss for farmers and starvation in developing countries. Herbicide tolerance For some crops, it is not cost effective to remove weeds by physical means such as tilling, so farmers will often spray large quantities of different herbicides (weed killer) to destroy weeds, a time consuming and expensive process, that requires care so that the herbicide doesn't harm the crop plant or the environment. Disease resistance There are many viruses, fungi and bacteria that cause plant diseases. Cold tolerance Unexpected frost can destroy sensitive seedlings. An antifreeze gene from cold water fish has been introduced into plants such as tobacco and potato. Reduced effectiveness of pesticides Just as some populations of mosquitoes developed resistance to the now banned pesticide DDT, many people are concerned that insects will become resistant to B.t. or other crops that have been genetically- modified to produce their own pesticides. Gene transfer to non target species Another concern is that crop plants engineered for herbicide tolerance and weeds will cross breed, resulting in the transfer of the herbicide resistance genes from the crops into the weeds. Allergenicity Many children in the US and Europe have developed life-threatening allergies to peanuts and other foods. Unknown effects on human health There is a growing concern that introducing foreign genes into food plants may have an unexpected and negative impact on human health. There is no way to tell if genetically modified foods can have an effect on the genetics of people. In my opinion GMF's should have to be labeled because it is not right to let people eat things that are not know how they effect humans. People should have the right to know what they are putting in their bodies and the government should make producers of this kind of food label it. It is not right to hide the contents of the food being produced from the consumers because they pay good money for this food and should know what they are buying. I strongly agree with making food producers label food containing GMF's. Archive & annotate pageAction Bio Science. N.p., June 2001. Web. 4 Mar. 2013. Archive & annotate page"Top 10 Dangers of GMF." Invigorate 360. N.p., 29 Apr. 2009. Web. 4 Mar. 2013.